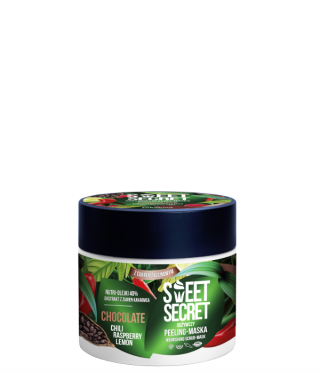 Sweet Secret – your sweet secret. Unspeakable sweetness that you do not have to deny. Moments of oblivion that can last forever. 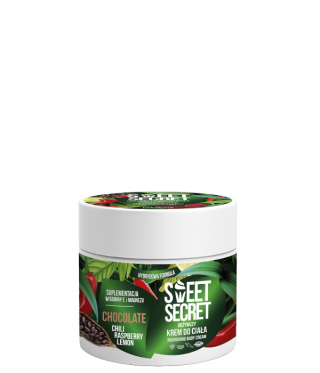 Imagine a day that smells like chocolate with chili and fruit. And at the same time your body receives everything it needs. 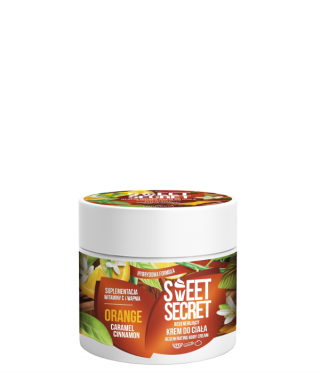 Cosmetics Sweet Secret is a combination of skincare with vitamins and minerals – necessary for its proper functioning. 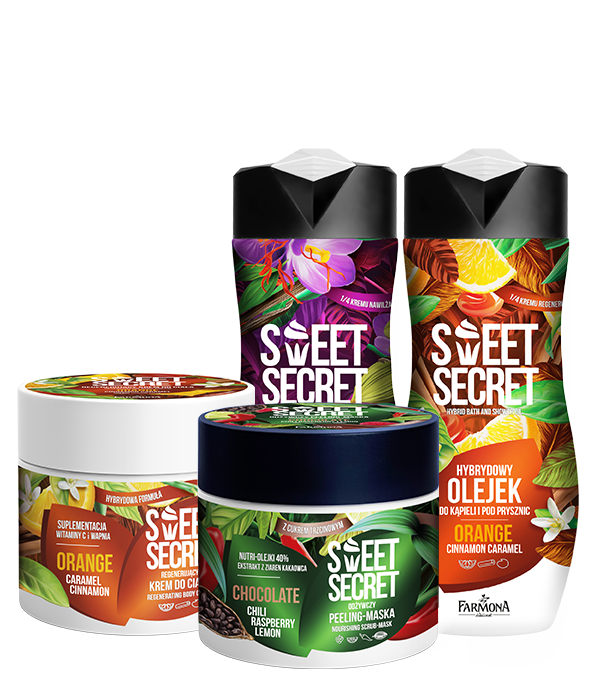 Thanks to them, you’ll take care of your skin with pleasure!